How many of you understand the front page of Google’s search results? There is a mighty battle going on between us Web Masters and Google’s algorithms. 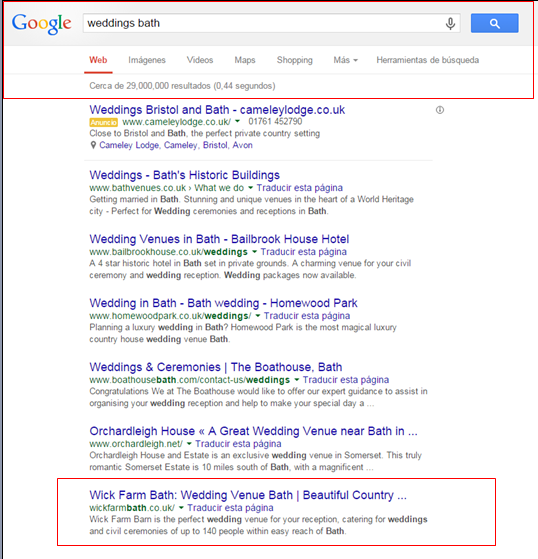 We try constantly to keep up with the changes that Google make and we at Bath Business Web have proved on hundreds of occasions how hard we work and how successful we are in understanding and following Google’s demands. Businesses that value their front page searches have a much greater chance of being busy above their competition, like having a shop window bang in the middle of the high street. But unfortunately a lot of people who have their own website have never really monitored exactly how an existing or future client might have used their services. This is because a lot of businesses and services do not necessarily regard this as a priority or pay much attention to assess different questioning techniques or formations on how to monitor where or how that inquiry has come from. One example we recently discovered was a company doing radio advertising, yet the potential customer on hearing the advert has gone straight to their phone to check out their website. Whilst browsing they discover the company also offers bi-fold doors as a service and therefore the value of the order has greatly increased. But when monitored the business thinks this enquiry has come only from the radio advertisement. You can talk about your website, tell people about it on the phone but most importantly being on the front page of Google for your chosen search is by far the most valuable. Gone are the days when people thought they could stuff key words into a website and it would work, Google very much frowns upon this. 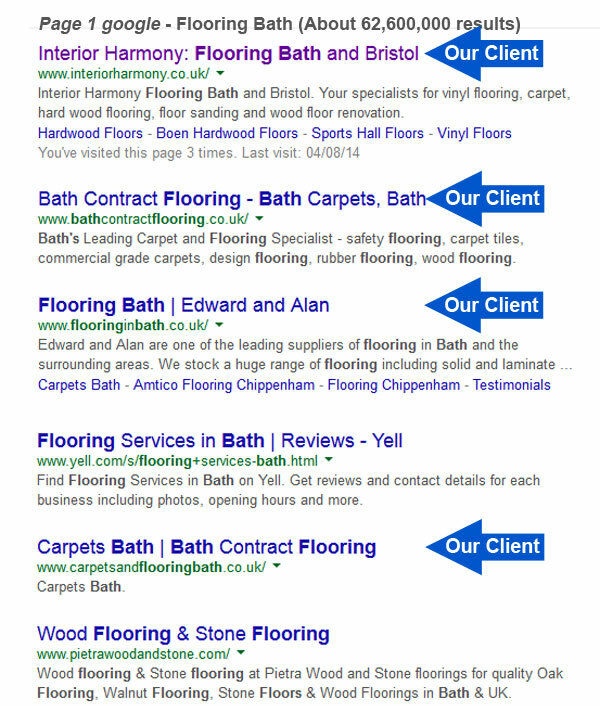 Search Engine Optimisation and a website built professionally by www.websitedesigninbath.com and www.bathbusinessweb.co.uk has commonly been the source of thousands of pounds of generated new turn over and as we endeavour to pay close attention to Google’s algorithms, we should continue to do so. This in turn will help businesses that want to grow. If you don’t want to get any new business from your website and just want to use it as a portfolio page, then “fine” leave it down the pages of Google. But if you really want to take it seriously, ensure that you are using a proven company like ourselves, as we have years of proving front page results for our clients and it is a major skill to be taken of utmost importance and the benefits are great.